I have never been one who enjoyed swallowing tablets. I distinctly recall begging my mum to ask the doctor to swap my medicine over from tablet form to liquid as I hated them so much. These days most vitamins, particularly natural ones, available for adults come in a capsule (normally horse pill size) or tablet form. If you are a kid you are lucky as there is a great variety of chewable vitamins….. unfortunately I left behind the kid status a couple of decades ago. 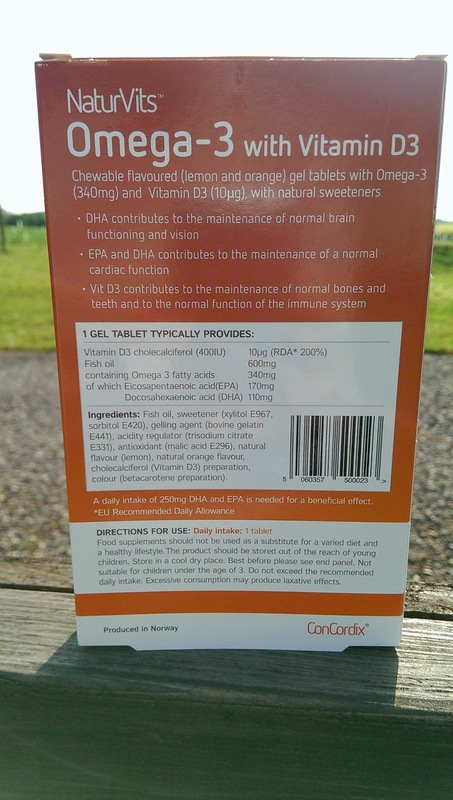 I was pleased to read about NaturVits new chewable vitamins for kids and adults (www.naturvits.co.uk). Unlike my kids chewable vitamins, my NaturVits Omega-3 with Vitamin D3 and Naturvits CoQ10 came in a blister pack. Great first point as I suspect the gel vitamin tablets would stick together if this was not the case. Both products contain 100% natural ingredients. 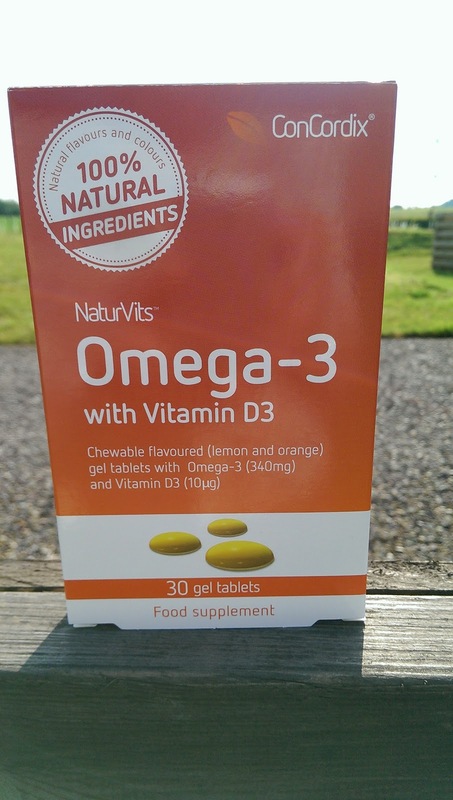 Starting off with the Omega-3 with Vitamin D3 gel tablets (£8.99) which claim to have a 44% better absorption rate. The vitamin D element helps the immune system, bones and teeth, while the Omega -3 benefits the heart and brain functions along with cholesterol levels. 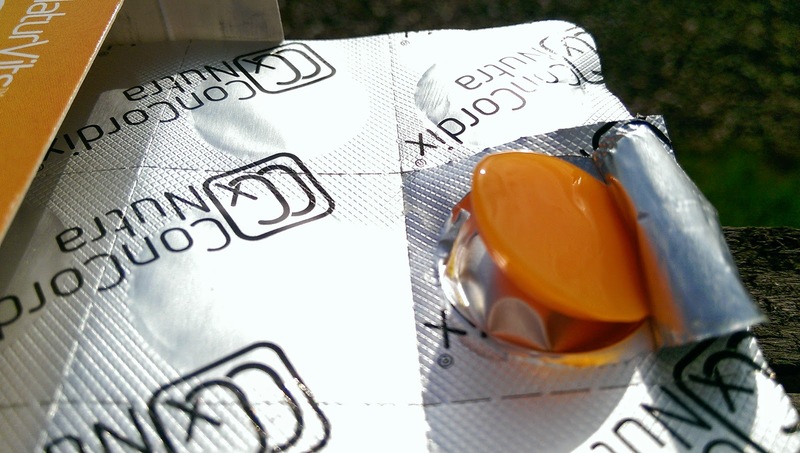 The orange and lemon flavoured gel tablets contained natural sweeteners and 200% of your RDA of Vitamin D3. Omega 3 can also help protect against the ageing effect of the sun’s UV radiation. I remember CoQ10 first being recommended to me by my good friend, who applauded it for energy levels. Given that CoQ10 appears in most of the cells in our body and yet as you get older it’s production declines, I can totally see the benefit in supplementing my diet with Naturvits CoQ10 (£11.24). 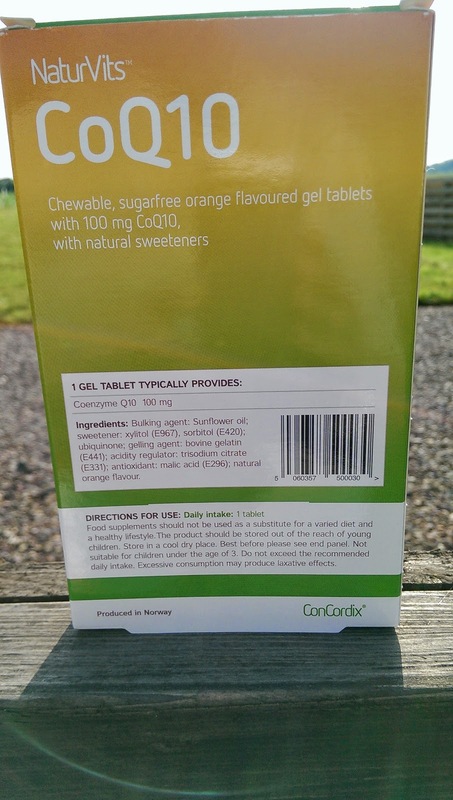 This gel tablet was orange flavoured and again was really easy to chew and digest. Like the Omega-3, it also has their Smartdelivery formula which allows for 44% better absorption. I found both the gel tablets quite a funny texture when I was taking them out the blister pack. I think I was expecting more of a sweet style and instead it was slightly more slimy/jelly like. This is something that I got used to and they are 100 times easier to digest than normal vitamins. My one concern is the slight after taste that I noticed with them, particularly the Omega-3 gel tablets. That said, I roped my other half in to try and he did not notice any after taste….at all. In fact he would have happily taken more than the recommended daily intake of one. These tablets are also suitable for children aged 3 years and above. For me these 100% natural tablets are a hit as they have better absorption, are easily digested, can be taken without water and they are made by a renowned Norwegian company who specialise in high quality fish oil health supplements. The only miss for me is the slight after taste. 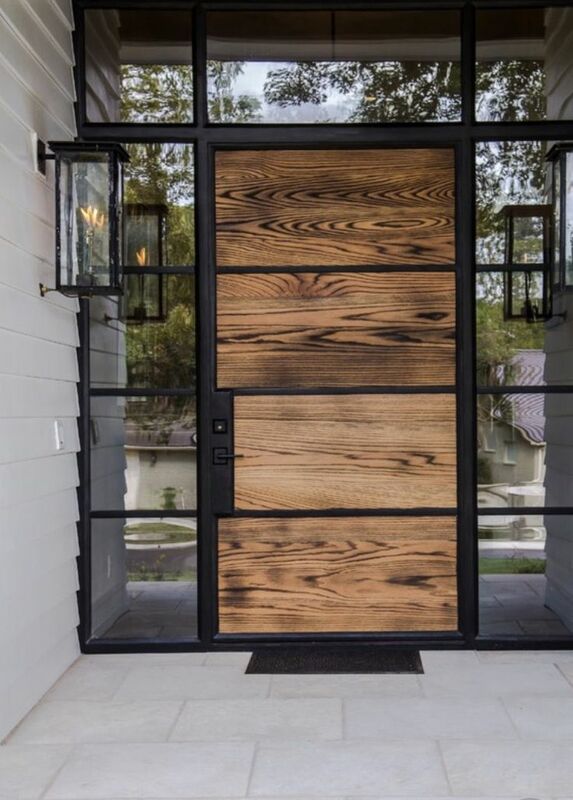 I would not let this hold you back trying them. Both of these products are Coeliac and Gluten free, kosher/ halal compliant and even suitable for pregnant women.